Lead nurturing is a vital part of B2B marketing because it‘s a key strategy in driving prospective customers towards a purchase decision. When done right, it can eventually turn prospects into loyal customers who can contribute to sustainable revenue for the long run. While they might not be customers from the get-go, prospects turn into warm leads faster if you invest the time and effort to communicate regularly after their first contact. Technology has allowed marketers to scale their lead nurturing campaigns with readily available automation tools and easy-to-use CRM software. These are effective instruments for delivering the right message at the right time to qualified leads, making it easier to drive leads through your sales funnel. If your marketing team is not taking the time to come up with an effective B2B lead generation and lead nurturing strategy, you’re allowing a major sales opportunity to slip through your fingers. You’re also missing out on a chance to maximize revenue from warm leads who are more likely to buy compared to new prospects. But just like any marketing plan, you need to launch a targeted lead nurturing campaign for it to work to your advantage. Using the wrong strategy can backfire and damage your brand, so it’s important to be aware of what to avoid when creating a nurture campaign. A good understanding of lead nurturing’s most common challenges will help you make good decisions when the time comes. What is the right timeframe for launching your lead nurturing efforts? 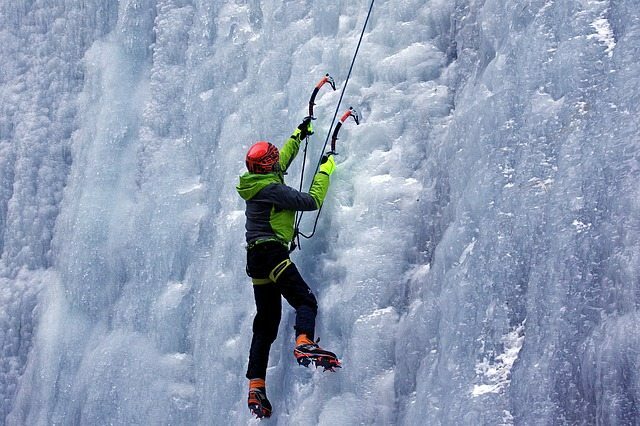 Continuing long after a lead has turned cold can be detrimental, but giving up too soon to raise interest may cut loose leads that simply needed a bit more time. While there’s no cut and dried answer to determine a precise timeline, you can come up with the best answer by determining your average customer’s buying cycle. Find out how long it takes for your leads to become customers by monitoring their movement from the top of the sales funnel down to the time they convert into customers. For example, if the buying cycle typically averages four months from lead to sale, then that’s the amount of time you should allot to your lead nurturing campaign. You need to adjust timing and messaging based on a prospect’s stage in the sales funnel. How frequently should you send an email or call your leads? As a general rule of thumb, most businesses tend to make more frequent, educational offers to leads at the top of the sales funnel. At this stage, the barriers to consumption are quite low, so emails are generally well received especially if the content you send successfully resonates with your target audience. New prospects will appreciate any valuable, engaging content, which helps to increase awareness and trust in your brand. But, don’t overdo it. Communication frequency should decrease as time goes on. Once new prospects move to the middle of the sales funnel, the content you share will require more of their commitment, so it’s better to taper your offers to avoid overwhelming them. Instead, send more specific, highly-relevant offers like blog posts, webinars, or any other content that will accelerate their movement along the sales funnel. According to Demand Gen Report’s “2015 Lead Nurturing Benchmark Study,” up to 71% of marketers surveyed identified developing targeted content according to buyer stage or interest as the most challenging aspect of most lead nurturing campaigns. A CMO Council study echoes this sentiment. Respondents stated that incorrect content sent was a top reason for “derailing lead flow success.” Needless to say, it’s important to find out what types of content help build awareness and trust and more importantly, drive sales conversions. The type will vary depending on your audience, and one way to discover what works is to go back to your sales funnel and identify any gaps in your current content offers. For example, you might have too many top-of-the-funnel educational-type offers and not enough industry-specific webinars for marketing qualified leads. Adjust your content offers based on the results and update any stale content that fails to resonate with your target audience. Going back to Demand Gen’s Benchmark Study, respondents said that the types of content that most leads respond favorably to are research-based, with 69% saying that whitepapers are effective offers that yield positive results. 61% also said that thought leadership articles and webinars also work well. Let’s not forget about the most effective channels for sharing your content. Email remains the most popular (94% usage) and 43% use re-targeting and telemarketing as well. After all the effort that goes into capturing and nurturing prospects, it’s tempting to simply keep launching new lead generation campaigns without combing through your old campaign’s overall results. While it’s not wrong to do so, it’s also a missed opportunity to learn from your mistakes or to learn first-hand what best practices to adopt for your next campaign. You can use a simple Excel file for tracking or a full-fledged analytics software program for monitoring results in detail. Whatever tools you end up utilizing, use them to map out the buying journey, identify leads that dropped out, and monitor KPI’s such as click-through, conversion, and engagement rates. These are some of the elements you should track to determine the success of a campaign and inform your decisions for future lead nurturing efforts. The most commonly used metrics for measuring lead nurturing success include lead volume in the sales pipeline at 61%, increased revenue at 67%, and email click-through rates at 68%. Start with these key performance indicators to help build your next lead nurturing campaign and to optimize your current lead generation strategy. Monitoring these results will help you determine which emails need to be changed, which ones performed best, and which ones to get rid of completely. Past performance is also a good indicator to help you determine the frequency for sharing content, or what your timeframe should be for optimum results. Lastly, benchmarking your campaign’s cost per customer can help you develop more efficient strategies in the future. Remember that the end goal is not just to generate leads and convert customers, but also to do it in the most efficient way possible. Yes, it takes considerable time and effort to identify your target audience, but it will be worth it in the long run. Identifying your ideal customer means that you’re not working blindly. It helps you avoid mistakes and wasting valuable resources by trying to communicate to an audience that you don’t know or understand. Avoid this common misstep by doing your due diligence through research. There are many tools and software that you can use to observe customer behavior, many of which are free. So, there’s no excuse for not knowing your audience like the back of your hand. Find out what their pain points are and figure out what you can do to solve their problems. Armed with this knowledge, your product offer can prove itself to be the best solution for their most pressing issues. If you’ve researched your target audience and created a buyer persona, you should have enough insight to come up with an effective lead magnet. Use it to create an irresistible offer or valuable piece of content that they can’t help but accept. Start by identifying and solving a pain point that your buyer persona is having. Share relevant content that solves their problems on a regular basis, and put them in highly visible places (which could be your website, landing pages, social media accounts, email network, or any other platforms your audience frequents). Don’t forget to conduct A/B tests on a regular basis and tweak your approaches accordingly. As we mentioned earlier, email continues to be one of the most cost-effective lead nurturing tools available that generates promising results. Make sure that an email marketing campaign is included in any relationship-building strategies you’re implementing. Aim to utilize the best emailing tools and share the right content based on your buyer personas and stages of the sales funnel. Scale your efforts by using automated software as much as possible. The bigger your email list is, the higher your chances are of building sales volume. While we’ve mentioned the importance of emailing when conducting lead nurturing campaigns, make sure that you don’t overdo it. It can be tempting to send a barrage of emails; after all, it’s pretty easy and essentially free. But this is one case where the adage “the more, the merrier” doesn’t apply. Go for quality instead of quantity. Be picky about the type of content you send and choose the most relevant pieces based on the buyer persona and which stage they belong to in the sales funnel. Once you’ve segmented your leads and identified those who have expressed interest in your product, don’t leave them hanging. Initiate contact and reach out to them as soon as possible. Chances are, they might not be ready to buy right this instant, but circumstances might change in the future. Follow up with them and remind them why they became interested in the first place. It’s a wasted sales opportunity not to do so, yet up to 50% of marketers fail to follow up with leads who expressed initial interest. Responding fast is key; a Harvard Business Review study showed that following up with leads within an hour means that they are up to 7 times more likely to convert. Use notification alert software to remind you to follow up with and get in touch with specific leads. A few to try include FollowUp.cc, Suricate.com, and WhoIsVisiting.com. If you’ve been religiously monitoring your campaigns and tracking results on a consistent basis, then all that effort will be wasted if you don’t analyze your results and use them to introduce improvements in future campaigns. It can be tedious and time-consuming to conduct comprehensive analyses and even more so with A/B tests, but the effort you expend will pay off when you can optimize processes to improve conversion and response rates in your next campaign. Many studies have proven the success of lead nurturing programs. Such programs are also useful when it comes to segmenting and identifying leads in the various stages of the sales funnel. So, if you haven’t implemented a lead nurturing campaign yet, now is the time to do so. The ability to successfully convert leads into customers is largely determined by how well you know your prospects and what you do based on this knowledge. Monitoring and tracking progress can only be as effective as what you decide to do with the results. You need to be proactive and respond to what your KPIs are telling you by updating your approach, leveraging what works, and avoiding what doesn’t. Keep in mind the challenges and mistakes we’ve outlined, and you’ll be well on your way to optimizing conversion rates and consequently, increasing your revenue stream. The post Lead Nurturing’s Biggest Challenges appeared first on PureB2B.